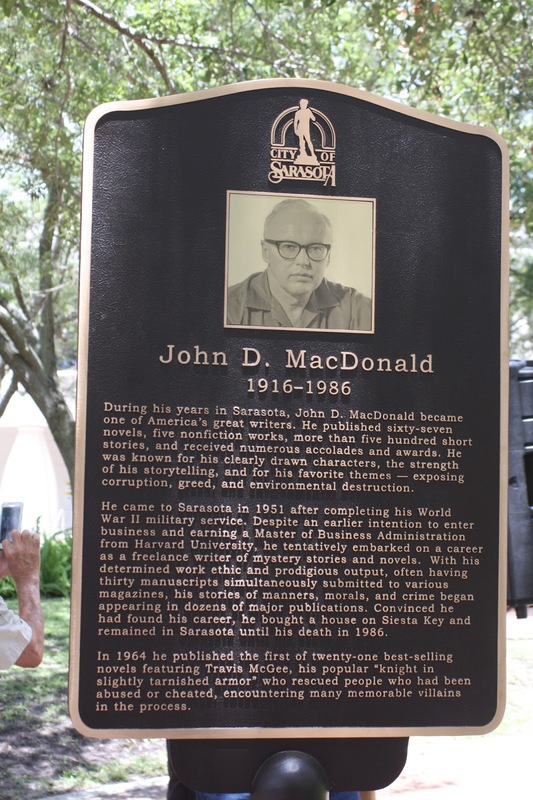 Marty Fugate at yourobserver.com offers a piece on the late crime writer John D. MacDonald and his influence on Florida crime fiction. 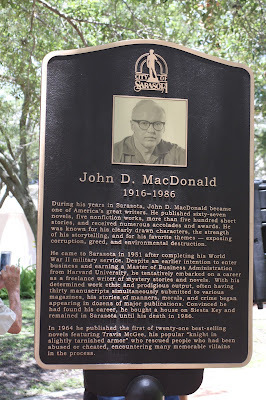 If John D. MacDonald had lived to be 100, last Sunday would’ve been his birthday. For most of his career, the novelist lived and wrote in Sarasota. The city recently celebrated his birthday and put up a plaque in his honor. It was long overdue. He did more than tell great stories; he reinvented his brand of storytelling. In the beginning, there was the author John D. MacDonald. Before Tony Montana and his little friend, before the pastel-wearing private eyes of “Miami Vice,” before the eco-warriors of Carl Hiaasen, before the troubled waters of Randy Wayne White, he got there first. We refer, of course, to the territory of Florida crime fiction. (Which is a wordy way of saying Florida fiction, so let's stick with that). Getting it right is all about a sense of place. Before MacDonald came along, most writers were either out of date or just plain wrong. ... He had moved to Sarasota in 1951. He was a Floridian in the flesh — and his stories would soon follow. By the late 1950s, he’d written a slew of best-selling crime novels, including “The Executioners,” which became the basis for the “Cape Fear” movies. While some of these tales unfolded in the Sunshine State, they weren’t very unshiny. MacDonald’s short stories and paperback originals were in the long shadow of Dashiell Hammett and Raymond Chandler — the tradition of noir crime fiction, in print and film. The tales of this black-and-white world were usually set in L.A. But MacDonald was dreaming of Florida — and dreaming in color. Starting with green. The color of nature and money.